click on the below links for SPRING, SUMMER, WINTER Season! AUTUMN Chakra Survival Vitality Bundle our THREE Month Seasonal Skin Food Package! Chakra Survival Vitality Bundles are created for seasonal use containing the highest quality foodgrade ingredients which are not only beyond organic and vegan, they are laced with the most divine, high frequency oils, sacred waters and therapeutic essential oils. These high frequencies have an amazing effect on the Chakras raising one’s energy to unconditional love, passion and divine abundance. Our AUTUMN Chakra Survival Vitality Bundle promotes peace and tranquility, grounding and attunement to inner self and inner truth. Chamomile, Basil & Frankincense AUTUMN Chakra Survival Vitality Bundle was created as a THREE Month Seasonal Package for use on your throat chakra. Our bundle supports the calm, peaceful and clear speaking of truth. Use to release stress, tension and to relax the throat chakra which is related to the element of sound, associated with hearing, related to the ears, associated with speaking, associated with the mouth, associated with the thyroid gland in the endocrine system. Facilitates hearing and communicating spiritual truth as well as openness to communication with the Divine. Feel the vibration in the whole of our body. It’s function is driven by the principle of expression and communication. When you throat chakra is blocked it can significantly impact your ability to communicate effectively. Holy Basil stimulates attunement to inner self and inner truth. Mental concepts of doubt and distrust are transformed allowing for clearer thinking and decision making. Charged with the intent to connect to deeper parts of self! Envision the colour BLUE when meditating! 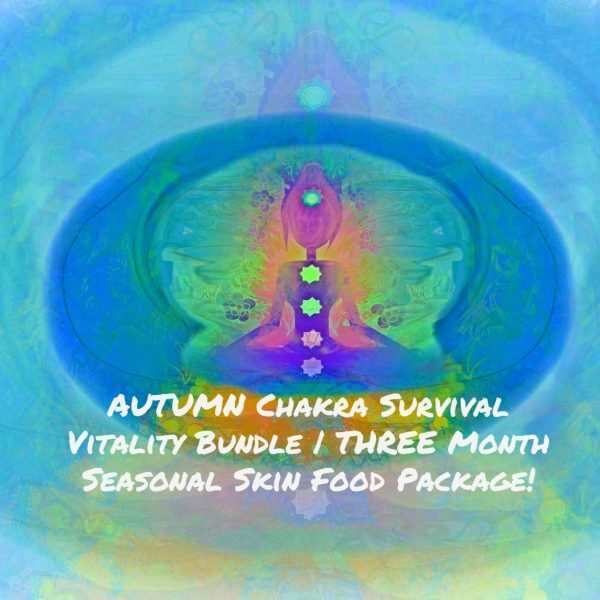 AUTUMN Chakra Survival Vitality Bundle | THREE Month Seasonal Skin Food Package! 100% Organic Vegan Ethical, Luxurious Food-grade Ingredients! 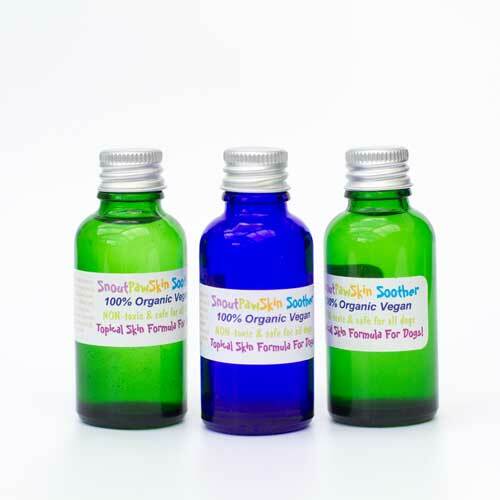 100% Certified Rawsome Organic Vegan Ethical Ingredients: Anthemis nobilis (Chamomile) Flower Water, Anthemis Nobilis (Chamomile) Flower Oil, Ocimum Basilicum (Basil) Leaf Oil, Boswellia Carteri (Frankincense) Oil, Naturally occurring: Angelic, Linalool, Borneol, Camphor, Pinene. 100% Certified Rawsome Organic Vegan Ethical Ingredients: Soapwort (Saponaria Officinalis), Shikakai (Acacia Concinna), Oil of Coconut (Cocos Nucifera), Oil of Olive (Olea Europaea), Oil of Hemp ( Cannabis Sativa), Oil of Jojoba (Simmondsia Chinensis), Oil of Avocado (Persea Gratissima), Oil of Sesame (Sesamum Indicum), Prunus Armeniaca (Apricot) Kernel Oil, Vitamin E (d’alpha tocopherol), Anthemis nobilis (Chamomile) Flower Water, Anthemis Nobilis (Chamomile) Flower Oil, Ocimum Basilicum (Basil) Leaf Oil, Boswellia Carteri (Frankincense) Oil, Naturally occurring: Angelic, Linalool, Borneol, Camphor, Pinene. 100% Certified Rawsome Organic Vegan Ethical Ingredients: Organic Cold Pressed Camellia Seed Oil (Camellia Sinensis), Anthemis Nobilis (Chamomile) Flower Oil, Ocimum Basilicum (Basil) Leaf Oil, Boswellia Carteri (Frankincense) Oil, Naturally occurring: Angelic, Linalool, Borneol, Camphor, Pinene. 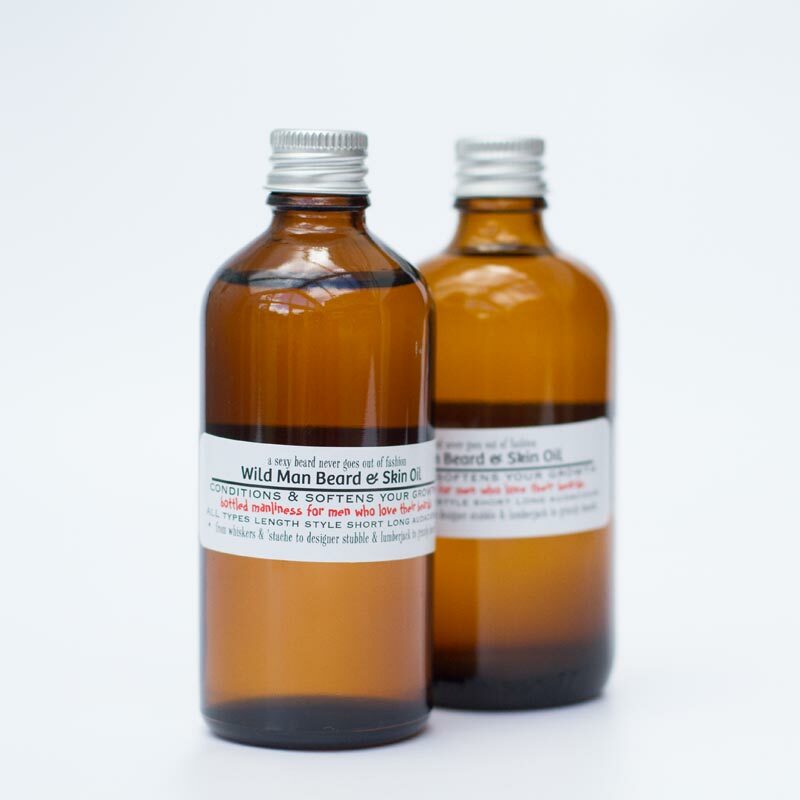 100% Certified Rawsome Organic Vegan Ethical Ingredients: Butyrospermum Parkii (Shea) Butter, Vitis vinifera (Grape) Seed Oil, Prunus Armeniaca (Apricot) Kernel Oil, Anthemis Nobilis (Chamomile) Flower Oil, Ocimum Basilicum (Basil) Leaf Oil, Boswellia Carteri (Frankincense) Oil, Naturally occurring: Angelic, Linalool, Borneol, Camphor, Pinene. 100% Certified Rawsome Organic Vegan Ethical Ingredients: Butyrospermum Parkii (Shea) Nut Butter, Cannabis sativa (Hemp) Seed Oil, Solum diatomeae (diatomaceous earth) clay, French Green Montmorillonite (bentonite clay) Clay, magnesium chloride (magnesium oil), Anthemis Nobilis (Chamomile) Flower Oil, Ocimum Basilicum (Basil) Leaf Oil, Boswellia Carteri (Frankincense) Oil, Naturally occurring: Angelic, Linalool, Borneol, Camphor, Pinene.